This trail site is a must visit for birders traveling to the Florida Keys. Two nature trails and a mile of natural shoreline provide easy access to mangrove swamp, rockland hammock, mudflat, beach and coastal berm habitats. The Golden Orb Trail can be fantastic during fall migration. Over 30 species of wood-warbler have been recorded plus all the other typical songbird migrants that head south through the Florida Keys. In the last few years the trail has enticed birders from all over the United States with major rarities such as Key West Quail-Dove (2014-2016) and Zenaida Dove (2016). Many other rarities have been found at the park over the past 10-15 years; La Sagra’s Flycatcher, Sulphur-bellied Flycatcher, Bahama Swallow, Yellow-green Vireo, Northern Wheatear, Black-faced Grassquit, Western Spindalis and Bullock’s Oriole have all been recorded. The trail passes through mangrove swamps where Mangrove Cuckoos can be heard (difficult to see), and hammocks which provide foraging areas for White-crowned Pigeons. 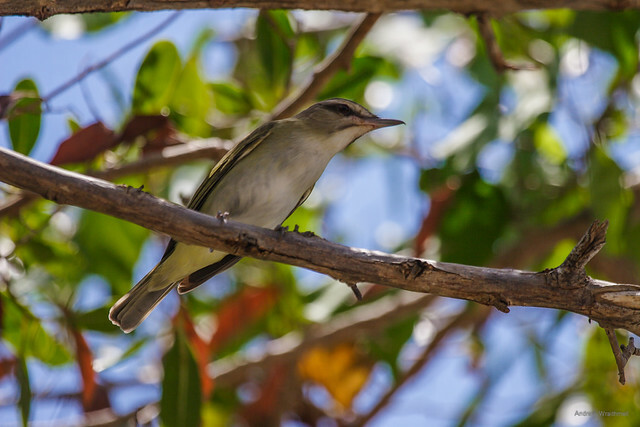 Check the trees around the restrooms for nesting Black-whiskered Vireos. The shorter Layton Trail leads to the Florida Bay through a healthy rockland hammock. Along the shoreline, keep an eye out for Reddish Egrets and wintering Piping Plovers. Butterfly viewing is great here as well. Look for Malachite, Mangrove Buckeye and Mangrove Skipper. Loaner optics and bird guides are available at the ranger station.